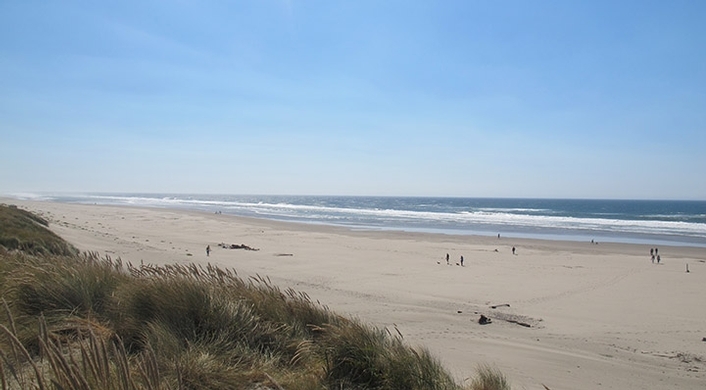 Situated next to the Yaquina Bay Bridge, South Beach State Park begins in south Newport and stretches several miles down the Oregon coast. This historic park offers a variety of recreational opportunities. 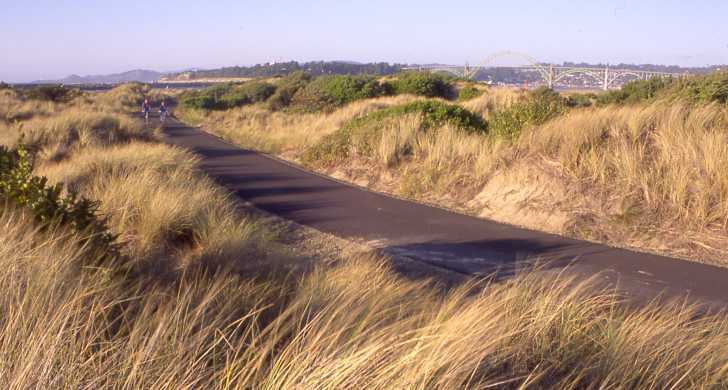 The paved jetty trail provides a perfect place to jog or ride a bicycle. Forgot your bike? The Hospitality Center rents out bikes daily during the summer months, and you can also purchase bike helmets. Please note, Oregon State Law requires persons under 16 years old to wear protective headgear when riding or operating a bicycle! Our equestrian trail to the beach begins at the South Jetty equestrian trailhead. Park next to the trailhead and enjoy a beautiful sunset by horseback! A playground area, horse-shoe pits, and a 9-hole disc golf course are near the campground area. Stop by the Hospitality Center to get maps, brochures, purchase souvenirs or camp items, or to check out free discs and horse-shoes. We also offer interpretive programs, guided hikes, and JR Ranger activities every day throughout the summer months. Check out the "events" calendar on our website for a detailed program schedule. Kayak tours are offered 7 miles south on Beaver Creek during July through labor-day weekend. Paddles, kayaks, and PFDs are provided, and our interpretive guides take guests on a peaceful 2.5 hour expedition up the pristine freshwater marsh. Tours begin at the Beaver Creek Welcome Center, 1 mile east of Ona Beach. The cost is $20 per person. Register at our Park Store events site. Other activities around the park include fishing, crabbing, boating, surfing and beach combing. Attractions nearby include the Yaquina Bay Lighthouse, marine life exhibits at the Hatfield Marine Science Center and the Oregon Coast Aquarium. 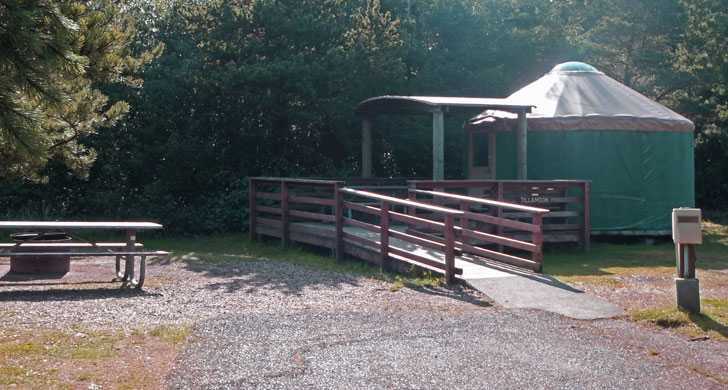 Five campsites (two electrical, three tent) and 24 yurts are accessible to campers with disabilities.